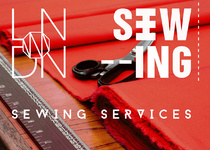 WE ARE HIGHLY SKILLED PROFESSIONALS WHO PROVIDE A TOP QUALITY SERVICES FOR SEWING OF ALL KINDS. 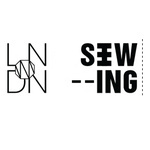 We offer sample making and design development for designers and design students...Read moreWE ARE HIGHLY SKILLED PROFESSIONALS WHO PROVIDE A TOP QUALITY SERVICES FOR SEWING OF ALL KINDS. We offer sample making and design development for designers and design students for their collections. Our extensive range of dressmaking services is the result of the number of years working with different fabrics and patterns. We will help you to choose the best fabric for your garment as well as discussing the right budget that suits you and the deadline of completing your order. We are focused on a one-to-one collaboration from making patterns towards finished garment. Alesia at Sewing Services did a lovely job. She was patient in accommodating both my uncertain timescales and my detailed requirements. I commissioned a series of sample silk scarves; I'm very happy with the results. Recommended. 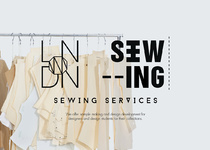 sewing services highly recommended, very professional, helpful and listened to what I wanted. Very helpful and extremely fast. Thank you for your help.